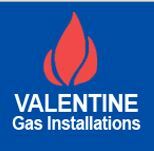 Valentine Gas Installations Ltd - Central Heating Engineer, Plumber based in Stretford, Greater Manchester. Worcester Approved Installer 7 Years Warranty as standard (10 Years available if you have a Worcester filter and controls fitted at the same time as your new boiler). TEN YEAR WARRANTY ON CDI BOILERS, WHEN FITTED WITH CONTROLS AND A WORCESTER GREENSTAR FILTER.